The Illinois Department of Transportation is holding another public meeting tonight in the Quad Cities to gather input from the public regarding its Bike Transportation Plan. The meeting is scheduled to take place on July 23, 2013 from 6:30-8:00 p.m. at the Moline Public Library, 3210 41st Street, Moline, Illinois 61265. As we have discussed in previous blog posts, the Bike Transportation Plan is one part of IDOT's Long Range State Transportation Plan. According to the Illinois State Transportation Plan's website, the purpose of the Long Range State Transportation Plan is to "set forth policies and goals that guide the development of the state transportation system. The Plan identifies issues and key needs that will guide IDOT in their investment decisions for the state transportation system over the forthcoming twenty years." Because Illinois is the 5th most populous U.S. state, alternative forms of transportation, including bicycling, are becoming a integral and vital part of Illinois' transportation system. The Bike Transportation Plan will make recommendations with respect to issues such as bikeway safety, design, and maintenance and the creation of regional scale bikeway networks. In addition, the Plan will ultimately guide IDOT's funding decisions with respect to these issues. The Illinois Bicycle Lawyers of Keating Law Offices strongly encourage all Illinois bicyclists to attend these meetings, as we fully believe that the state's experienced bicyclists are in the best position to provide IDOT with informed and reasoned input regarding the Plan. 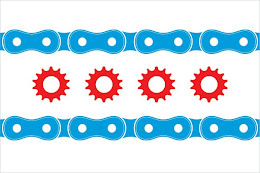 Illinois Bicycle Lawyer Michael Keating attended IDOT's Chicago meeting held on July 9, 2013. As an avid bicyclist, Mr. Keating appreciated the opportunity to provide his own input regarding the Plan and also hearing input from other bicyclists in the community.